Dispose of content / container in accordance with the local regulations. 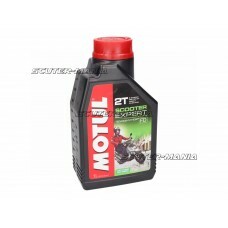 Recycle packaging if free o..
Semi synthetic 2-stroke engine oil with minimal smoke and carbon deposits. 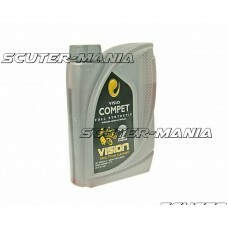 Prevents contamination of..
Fully-synthetic 2-stroke oil from Vision Lubricants. For both pre-mix and separate lubrication. Us.. 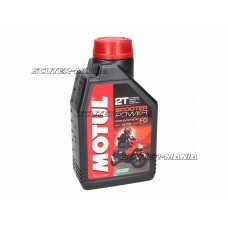 Vision Lubricants mineral 2-stroke oil, ideal for scooters and mopeds or restricted scooters. 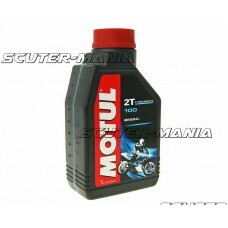 Usua..
2-stroke mineral oil for separate and mixed systems. Standards: API TC, JASO FB-level. 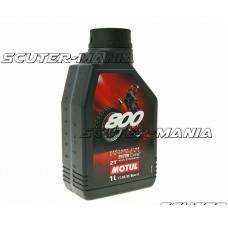 Cost-effectiv..
Semi-synthetic 2-stroke oil for all types of high performance engines that operate at high revs or u.. 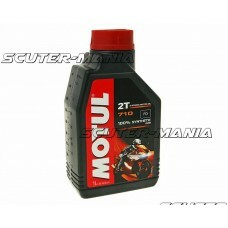 THis Motul 100% synthetic High Tech 2-stroke oil for mixed systems with oil pumps is the top choice ..
100% synthetic, double ester-based 2-stroke engine oil for motorsport. 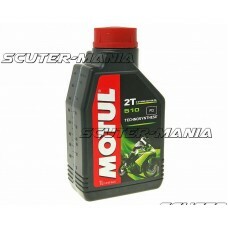 For all off-road 2-stroke eng..
Motul Technosynthese® 2-stroke oil, specially designed for scooter engines. Suitable for separate or..
100% ulei sintetic de inalta performanta pe baza de ester pentru toate scuterele in doi timpi. Asigu..
Solutie 100% sintetica, dubla cu motor pentru motoare in doi timpi pentru motorsport. Pentru toate m..